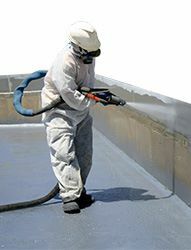 Tecnopol presents the tariff of prices of machinery and spare parts for thermal insulation with polyurethane foam and waterproofing with polyureas and polyurethanemembranes . Given the complex economic moment that the sector is going through, our company actively contributes by thinking about the final client by offering an important discount in all the articles from the brands Graco, Gusmer and Glascraft. In the tariffs updated to January 2014, you will find more than 50.000 references of spares for polyurethane foam projection machinery, waterproofing with polyurea P-2049 and Desmopol polyurethane membranes, as well as all the spares of projection guns of Polyurea and Polyurethane, transfer pumps, hoses, etc.